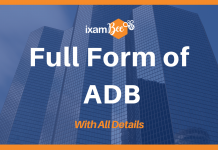 The much-awaited SBI Clerk 2019 notification out. State Bank Of India (SBI) has invited applications for Junior Associate (Customer Support & Sales) in clerical cadre. SBI has announced a total of 8653 vacancies across different states; however, candidates can apply for Vacancies in one State only. 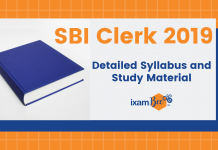 SBI Clerk is one of the most prominent clerk exams, therefore, the number of candidates applying for this exam has seen an increasing trend year-on-year. This is a golden opportunity for candidates who want to make a career in most prestigious SBI. Candidates can apply for SBI Clerk if he/she is Graduate in any discipline from a recognized university. Any student in the final year/semester of their graduation can also apply subject to the condition that they produce proof of passing the examination on or before August 31, 2019. 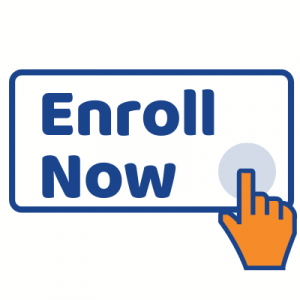 Candidates having integrated dual degree (IDD) certificate should ensure that the date of passing the IDD is on or before August 31, 2019. 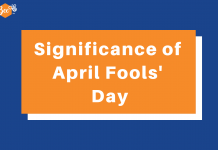 SBI has announced that a candidate should not be below 20 years and not above 28 years as on April 1, 2019, i.e. birth date should not be earlier than April 2, 1991, and not later than April 1, 1999 (both days inclusive). SBI will conduct Junior Associate (Clerk) in three phases; online tests (preliminary & main examination) and test of specified opted local language. *There will be negative marks for wrong answers in the Objective tests. 1/4th of the mark assigned for the question will be deducted for each wrong answer. Candidates should note that Preliminary exam marks will not be added for the selection and only the aggregate marks obtained in Main Examination (Phase-II) will be considered for preparation of the final merit list. Provisional selection will be made on the basis of candidate’s performance in Mains examination. Verification of eligibility for the post and information furnished in the online application. Qualifying in the test of specified opted local language, where applicable. Results of the candidates who have provisionally qualified for selection will be made available on SBI’s website. The total starting emoluments of a Clerical Cadre employee payable at Metro like Mumbai will be around `25,000/- per month inclusive of D.A., other allowances at the current rate and two additional increments for newly recruited graduate junior associates. They will be eligible for reimbursement of various perquisites, provident fund, Pension under New Pension scheme (Defined Contribution Benefit), Medical, Leave fare and other facilities, as per instructions of the Bank as may be issued from time to time. The selected candidates will be on probation for a Minimum Period of 6 months. SBI Junior Associates will be required to complete e-lessons as prescribed by SBI during the probation, for getting confirmation in the Bank, failing which their probation will be extended till completion of the same. 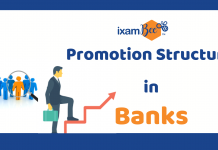 Further, before the probation period comes to an end, the performance of New Junior Associates will be evaluated and the probation period of those employees whose performance fails to meet Bank’s expectation may be extended. Click here to know full details about SBI Clerk 2019 vacancies. Online registrations for SBI Clerk 2019 will start from April 12, 2019, and will end on May 3, 2019. Candidates can apply online only from the mentioned dates and no other mode of application will be accepted. Have a valid personal email ID and mobile no., which should be kept active till the completion of this Recruitment Process. SBI may send intimation to download call letters for the Examination etc. through the registered e-mail ID. 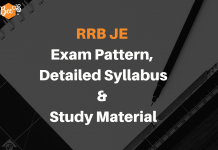 Now you know all the SBI Clerk 2019 exam details, the next step of yours should be start preparing for the exam as soon as possible. There is a famous saying”The Sooner You Start The Better The results”. Be ahead of your competitors by starting your preparation now. 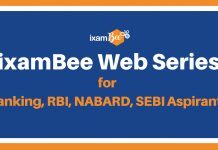 Next articleWhat Should Be Your Strategy in SBI PO 2019? 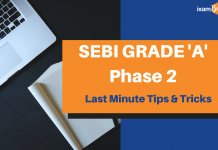 RBI Grade B 2019: How To Increase Your Chances of Success?